Hola! 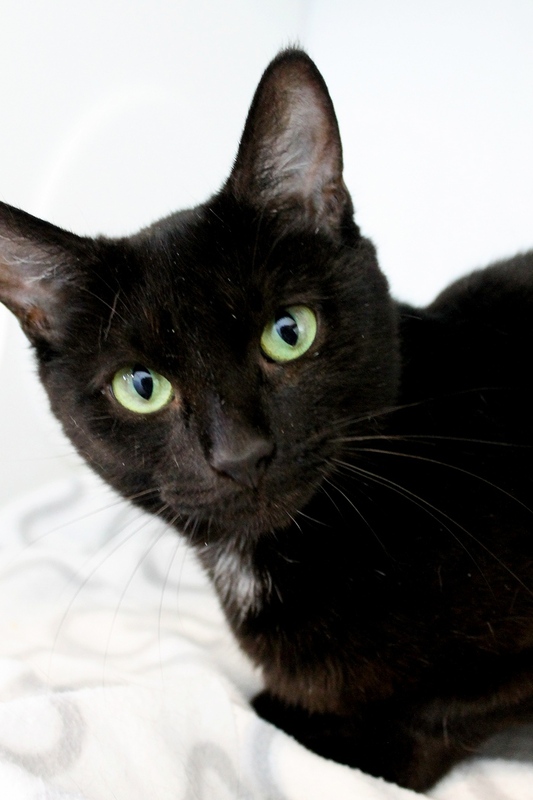 My name is Darcelle and I am a one-year-old sweet little black kitty looking for a home of my own! I was found with a litter of kittens, and since I was a teen mom, I will probably remain a petite kitty for the rest of my life. Now that I’m done being a mother and have gotten plenty of R&R at the shelter, I’m ready to give my love to a new human family. I’m a very mellow and quiet kitty who absolutely adores to be held. I’m pretty easy-going, so I’d probably be okay with kids and other cats as long as we were properly introduced. I come to you vaccinated, spayed, and micro-chipped with an adoption fee of $100. Fill out an application or stop by the shelter and meet me — I promise you’ll fall in love!